When I was a 4 year old girl I begged my parents to buy me a toy stove for a Christmas present. I had looked in the Christmas catalog and had seen a kitchen stove and little appliances for a toy kitchen and was in love! On Christmas morning under the tree there was the stove I had hoped for. Needless to say I have a real love for vintage toy appliances and have a collection with a few stoves in that collection! 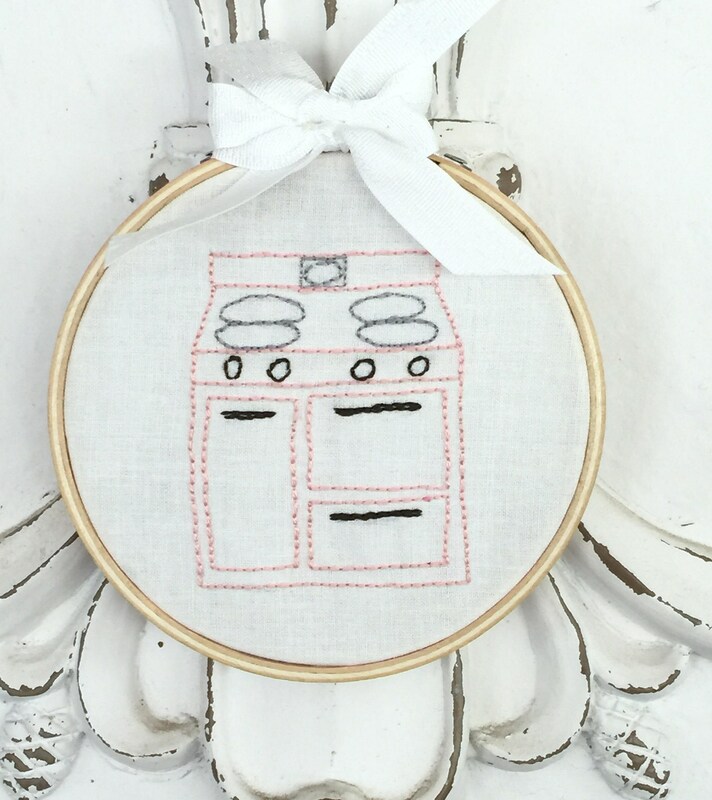 This embroidered pattern is very simple to do. Photos and step by step directions make it a quick project. 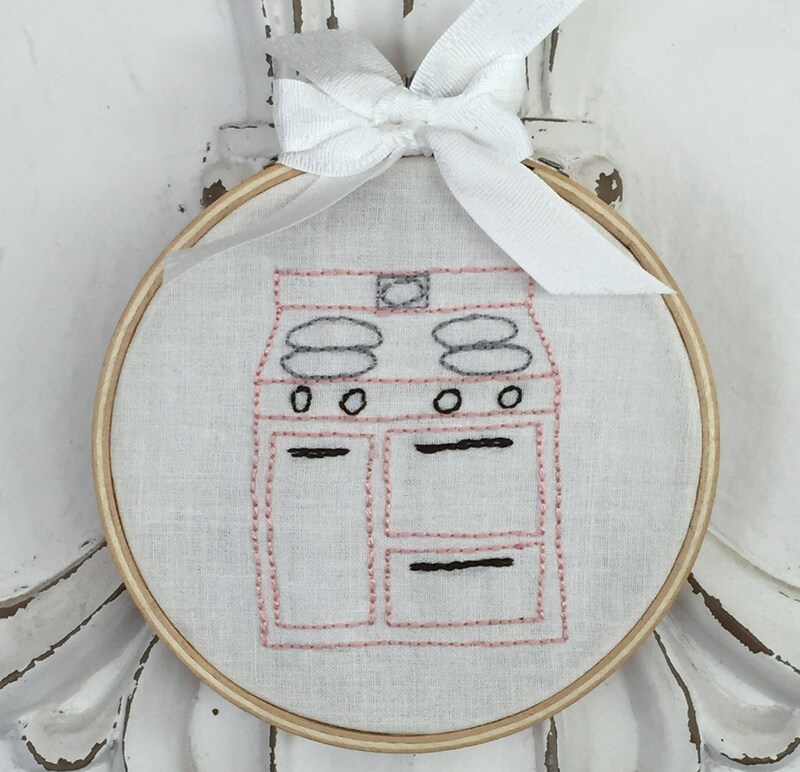 The end product can fit in a frame or be displayed in a 6" wood embroidery hoop with a little bow glued on for embellishment. This is one of many vintage embroidery patterns. I think you'll love this one. I know I did. I made a few of them for display, gifts, and a future Christmas vintage tree I"m planning on decorating in the winter months! This is a digital download pattern that you will have access to once the payment transaction has gone through. You will not receive physical in the mail. This is a PDF downloadable file.